As an aside, I suffer from a genetic eye disorder called Keratoconus. Theoretically I needed to have inherited from both my mother’s and my father’s family. So if you suffer from this and you belong to one fo the families mentioned below, then I would really love to chat. The earliest that the paper trail leads back is to Wimbotsham in Norfolk in the late 1600s, although DNA evidence suggests an Irish origin for the family. My branch then moved to Downham Market in the 1700s and 1800s before ending up in Cambridge. 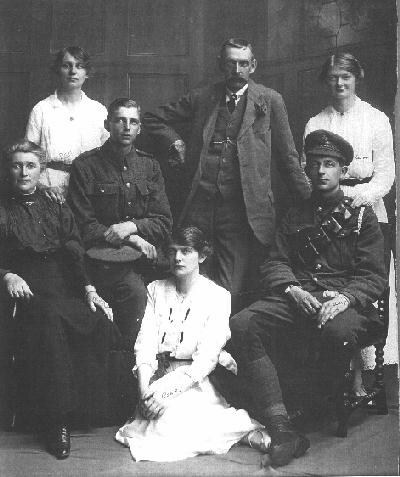 Below is Charles Worrell Blades Long (1866-1921) with his wife Elizabeth Cave and his children. The paper trail for this family has them moving frequently between these two counties since the 1600s. They were also partial to the name Simeon, so many of which abound that tis difficult to tell who is who. Early in the 1800s George Males appears in the St Giles and Shoreditch region of London. He dies without record before 1835 and we know nothing of his origins. His three children are John George Males, Sarah Ann Males and Elizabeth M Males. His grandson, Edward William Arthur Males ends up in Cambridge and I am his grandson. 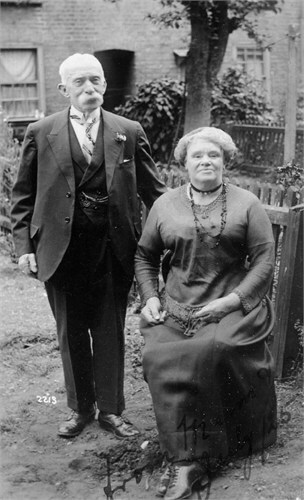 Below is Edward Males (1853-1932) with his wife Nellie Barriball (1863-1947). There are a lot of Curlings in Kent, all probably somehow related to a minor noble family in the north of the county. My branch goes back to around 1700 with one George Curling. Most of my ancestral Curlings are associated with the Three Horseshoe Tavern in Herne Hill. My great grandfather was William Clark Curling who rode off to serve in India and died there in 1890. To find out more click here or use the Pages menu. Starting with Ezekias Barriball in 1648, my particular branch moved to London in the early 1800s with Thomas Henry Barriball. Starting with Watson Cave around 1756. My great grandmother was Annie Elizabeth Measor (b. 1868) of the huge Measor family of Brighton. Her parents were John Measor and Mary Anne Hanbury. Hi Greg. Charles Worrall Blades was my great-grandfather too. Doing some family research (as is my sister, who found your site). Likely to be visiting NZ in next couple of years – not imminently. Good to chat: email preferred. Details below.